Teach your students great writing skills by organizing their ideas using Step up to Writing. 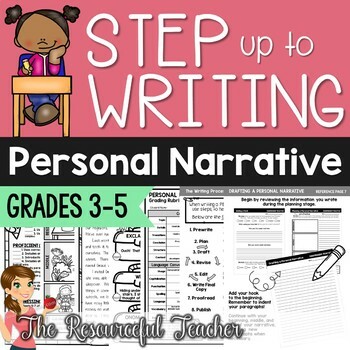 This unit focuses on writing a personal narrative and teaches students how to navigate the writing process using Step up to Writing. 13 Complete lessons included. 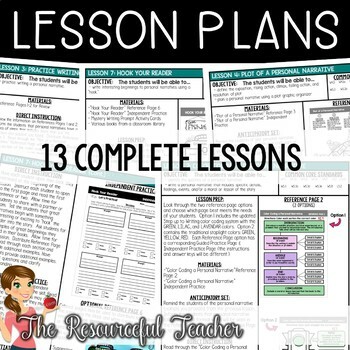 Teacher lesson plans include lesson by lesson instructions on how to use the packet in the classroom with your students. A set of 2 different grading rubrics are included to assess the quality of students' writing. Instructions are also included on how to use the rubric/scoring guide. 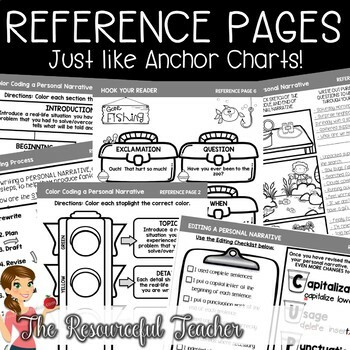 This product is part of my Step up to Writing ELA Bundle.